Review. 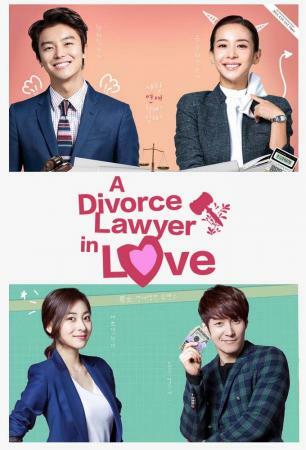 Divorce Lawyer in Love is a 18 episode 2015 Korea Drama about two lawyers that disliked each other in the past but change their minds in the present. 1. Cho Yeo Jeong as our leading lady, Ko Cheok Hee. She was half of the heart of the show. She was strong, smart, sassy, and bold. As the series progressed it was revealed that she was caring, sensitive, and willing to listen. Initially I found this character headstrong and one that jumped to conclusions without the facts. In episode 5 there was decided shift in the show and this character evolved to be a terrific modern day woman. 2. 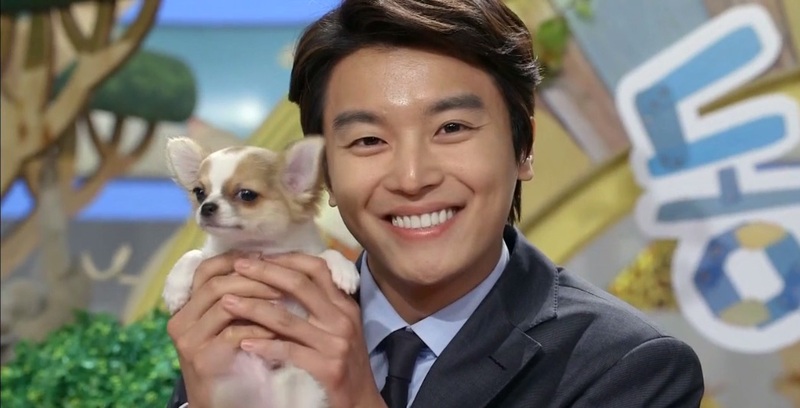 Yeon Woo Jin as our leading man, So Jung Woo He was other half of the heart of the show. He was sensitive, fair and caring. As the series progressed it was revealed that he was smart and loyal. Initially I found this character a wimp. In episode 5 there was decided shift in the show and this character evolved to be a terrific modern day man. 3. 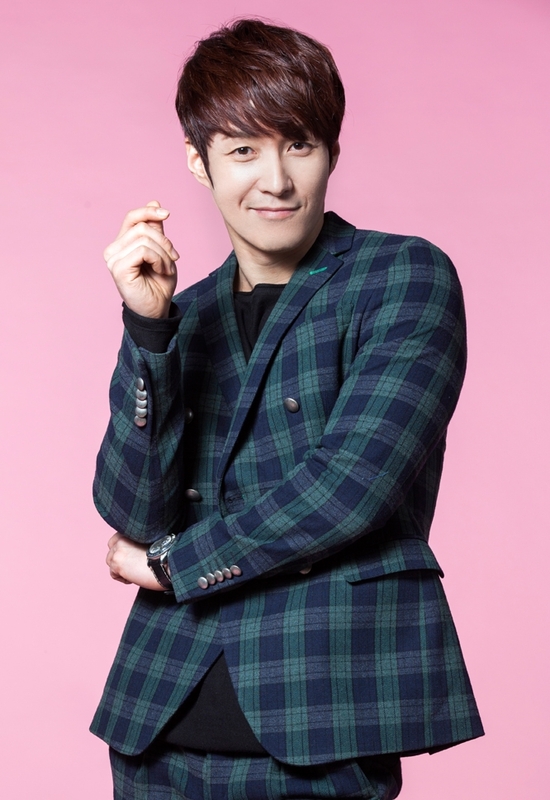 Shim Hyung Tak as second leading man, Bong Min Gyu. Our rich lawyer was so likeable! He was sweetly naive about life. His feelings for Cheok Hee gave him to gumption to break his arranged engagement. To his credit, when his father cut him off financially, he did not waiver. It was fun watching him try and fathom every day normal life. 4. Cute couple moments. Once they got started, Cheok Hee and Jung Woo brought the cute throughout the series. 5. I enjoyed the music and subsequent Original Sound Track (OST). Some of the music was fluffy pop but a couple of the songs were lovely. 1. The initial four episodes were not good for me. I felt the actors did not gell, the story did not grab me, and I considered dropping the series, something unusual for me. 2. Most of the divorce cases were fluff. A divorce case would last an episode or two. They were generally trite. They did allow our couple to learn how to work together and respect each other’s strengths so they served their purpose. This series evolved from miss – why I am watching this? – to cute – how darling will our couple be this episode? From the initial over and underacting by our lead actors, they found a balance and developed sweet chemistry. This was a cotton candy show full of cute moments from our couple. 1. Our leading lady, Ko Cheok Hee, was played by Cho Yeo Jeong. This character was likened to Chucky, the horror character. Former co workers were afraid of her. They did not see her as human or caring (hence the Chucky moniker). But low and behold, she found out that working WITH others and respecting others’ opinions was a basic necessity to survive in the working world. The evolution occurred and she turned out to be a favorite female leads with an enviable list of attributes – strong, smart, bold, caring, and patient. Her chemistry with Jung Woo was fun to watch. They played off each other well. The actors made an effort and it paid off on screen. Cheok’s moment of noble idiocy, stopping dating because his mother did not approve, was brief. Thank goodness he was able to convince her their love path may not be easy, but it was worth walking together. 2. Our leading man, So Jung Woo, was played by Yeon Woo Jin. Initially this character was flat, passive, and did not appear to be smart. Those attributes did not work with me. But the character evolved. He became the voice of reason, sensitive to his clients, and a good lawyer. He was not willing to give up even when she said they had to stop dating because his mother did not approve. He stayed calm and patient waiting for Cheok Hee to realize she needed him too. He supported Cheok Hee, a modern woman, without losing his own stature. In fact, their couple-hood allowed both of them to evolve. I simply adored that aspect of this couple. They were stronger together. 3. The second leading man, Bong Min Gyu, was played Shim Hyung Tak. Min Gyu played this character with charm. He was rich and completely clueless about interacting in the real world. The fact that he bought 10, yes 10, engagement rings for Cheok Hee to choose from is a perfect example of his natural excess. He was also a good friend to Cheok Hee and Soo Ah (the second female lead). He never got nasty about losing. Cheok Hee touched his heart, he gently pursued her, and backed out gracefully when she made her choice. Min Gyy and Woo Jin had wonderful chemistry. Their night drinking and subsequent male posturing the next morning was superb. I loved the way he did not back down from his choice of breaking the engagement. It was the right choice for him. He dealt with the consequences of no cars, no cash, and bills in his own way. 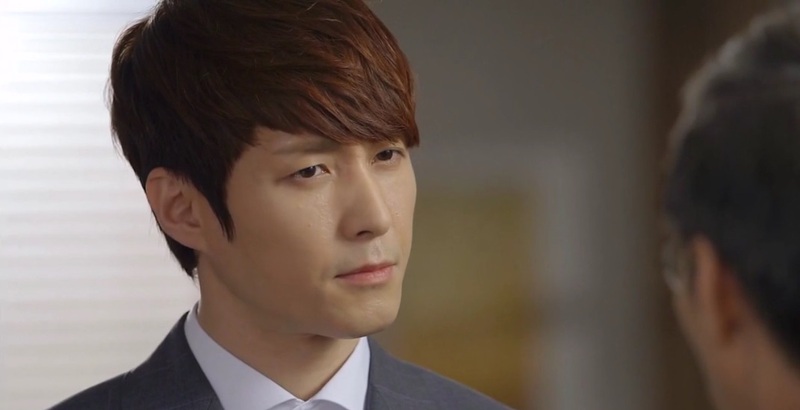 * Jung Woo is cute – Episode 6 – An acquaintance working on a TV show calls Cheok Hee when a guest lawyer cancels. She grabs Jung Woo to go on the show. They are both surprised when it is an animal show and Jung Woo is asked about a breeder contract issue. Thrown at first, he rallies, and is charming. Cheok Hee beams with pride. He was cute in that segment! 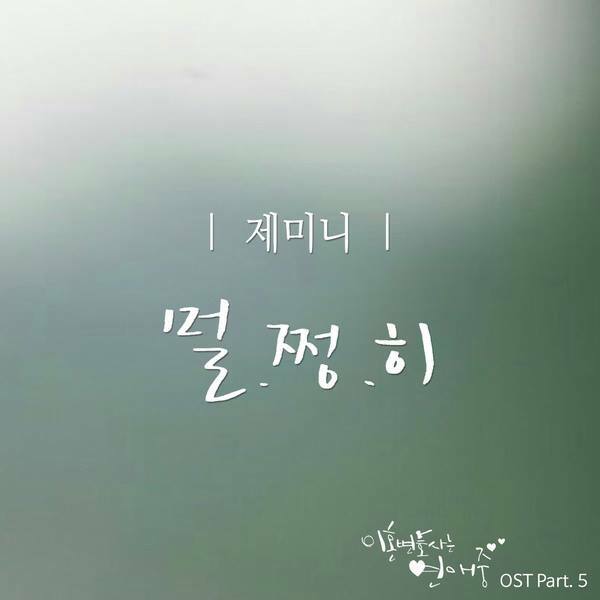 * Attraction – Episode 7 – Jung Woo and Cheok Hee have a sweet moment when she reveals the necktie she bought for his first trial. She states she didn’t want to upset his girlfriend Soo Ah with her competing necktie. Jung Woo clarifies that he is not dating Soo Ah. He asks that she put it on him. They are physically drawn to each other as she puts the necktie on him. Jung Woo admits the necktie has given him the courage to admit the truth. He tells her the last thing he said in the subway…was her name. * Best Kiss – Episode 8 – Alone in the courtroom, Jung Woo puts Cheok Hee in witness mode and if she likes him. She tries to evade answering but he will not allow it. She admits she likes him. Jung Woo kisses Cheok Hee. Nice! Cheok Hee kisses Jung Woo back. Nice! 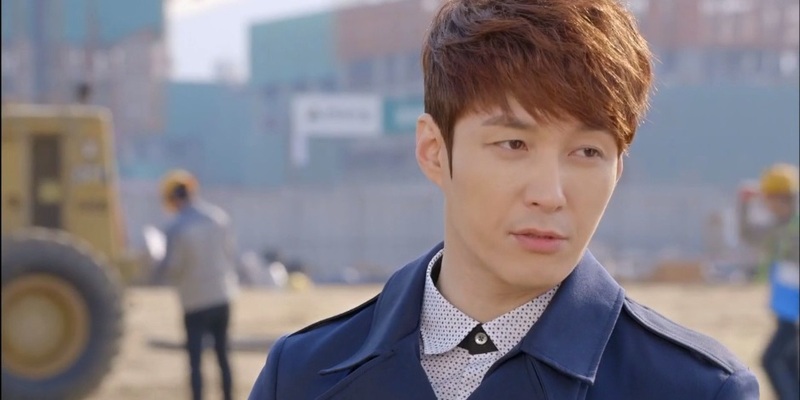 * Swoon Worthy – Episode 9 – Jung Woo and Cheok Hee walk the street together after the banquet. As they prepare to separate, Jung Woo takes her in a fierce hug. “Been wanting to do that” is his comment. When he moves her hand to embrace him – swoon moment! She hugs him back. It is a nice moment for our couple. They marvel that used to not like each other. She promises to be kind like him. He promises to become cool like her. Sweet! * Righting a Wrong – Episode 10 – 3 years prior Cheok Hee wrongly thought Jung Woo betrayed her and threw seaweed soup in his face on this birthday. Now she surprises Jung Woo with the homemade seaweed soup. Jung Woo is impressed that she personally made and delivered the soup. They share the soup. Gosh, they are cute. * Boys Battle Over the Girl – Episode 13 – Our two rivals for Cheok Hee meet in the bar. 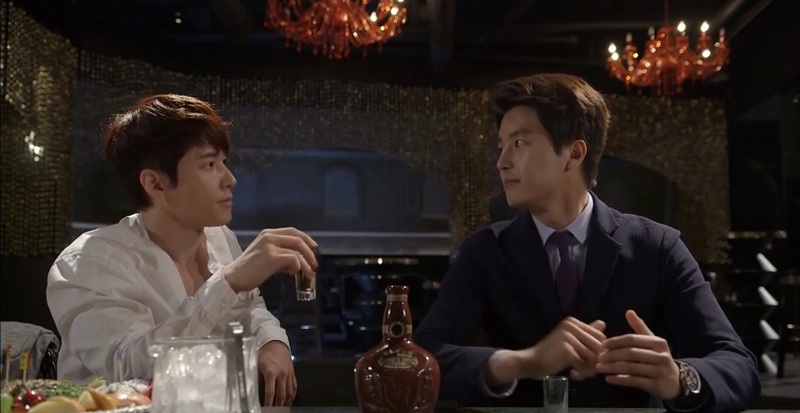 Min Gyu asks if Jung Woo drinks. Jung Woo states he can but does not like to. Min Gyu counters he can and likes to. Male posturing commences. Min Gyu has flair in drinking his shot. Jung Woo states he’s young enough he can handle the alcohol. Min Gyu unbuttons his shirt revealing his impressive chest claiming it’s not about youth, it’s all about maintenance. These two have good chemistry and this scene was loads of fun! The next morning the two men wake to each other in bed. They are equally horrified agreeing that nothing happened. It’s best if you see the toothbrush scene for yourself. Min Gyu flashes his well developed chest to intimidate Jung Woo who counters with the youthful beauty of his face. LOL! * Commit to Fight Obstacles Together – Episode 14 – Jung Woo arrives after Cheok has turned down Min Gyu’s marriage proposal. She says she’s just learned the wife confessed thanks to Jung Woo. JW: I can’t forget you. JW: Let’s just love each other. CH: And if it’s hard? JW: Then it is hard. CH: And if it hurts? JW: Then let’s hurt. If it is painful, it is painful, It is sad, it is sad. CH: Let’s just love each other. They kiss, reunited with a realization they will work through life’s challenges together. * Pluses of Marriage – Episode 16 – Jung Woo lobbies marriage phobic Cheok Hee the benefits of marriage. When Cheok Hee returns home sick, slays down on the couch and drifts to sleep. When Jung Woo calls he immediately recognizes that Cheok Hee is not well. He comes over to apartment with medicine (sweet), gets her to take the medicine then sweeps her into his arms and carries her to bed (swoon). Even sweeter, he gets into bed next to her to get her warm. He whispers that if they were married they could cuddle like this every night. He is darling! 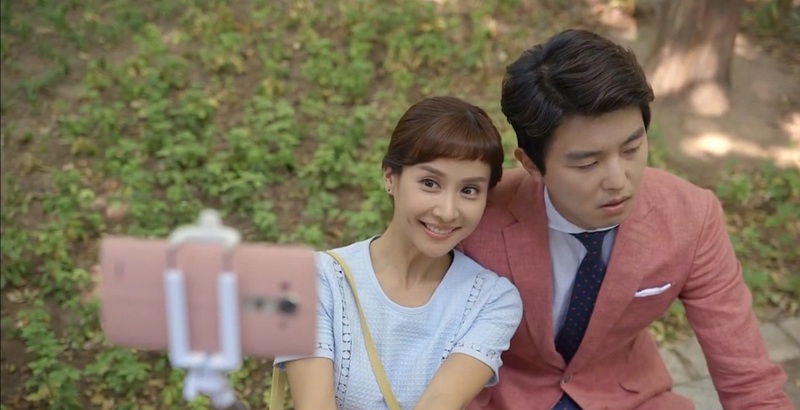 * Marriage, let’s not waste our money – Episode 17 – I adored Cheok Hee’s pragmatic view that the trappings on the wedding ceremony (dress, venue, pictures (complete with selfie stick, LOL)) were a waste of their money. When she brings a prenuptial agreement Jung Woo does not take it well. They cool down while trapped in a revolving door, each realizing that marriage is the priority. Jung Woo sees the prenuptial agreement has sweet clauses like telling each other they love each other daily. Jung Woo signs the prenuptial agreement and they put their wedding rings on each other. Sweet! * Compromise, the foundation of any long lasting relationship – Episode 18 – Jung Woo and Cheok Hee celebrate the Mi Ri case completion in a hotel room. Jung Woo suggests they forego the expensive wedding ceremony and get married. Jung Woo produces a cute card. He says this card will be their wedding announcement to their friend and family. Terrific compromise! They spend their first night together. 1. The initial four episodes were a rocky start to the series. I felt Yeo Jeong overacted in scenes and Woo Jin underacted in scenes. The story did not resonate with me. It seemed very cookie cuter, standard kdrama fare. But in episode 5, the writer, Kim A Jung, constructed better episodes focusing on our couple’s relationship growth. The actors got in sync with each other so they were partners in scenes and their chemistry built quickly. 2. Most of the divorce cases were trite. I don’t like procedural dramas because inevitability the case is secondary but it is showcased. The divorce cases in the series were silly most of the time. Couple of good ones, like the dead husband Cheok Hee was accused of killing and the Mi Ri case was interesting (this story over-arched the entire series). * This was a cute show. It took a while for this show to gell with me, but once it did, it delivered “the cute” that I love. The actors worked well together and had a sweet caring manner between them. She grew to respect his style of being a lawyer. He grew to respect her style of being a lawyer. They supported each other and did not doubt each other. They had darling moments almost every episode. 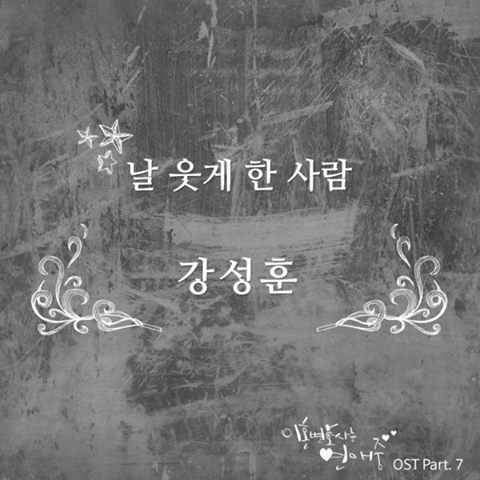 Divorce Lawyer in Love has a 7 part OST with 7 songs. 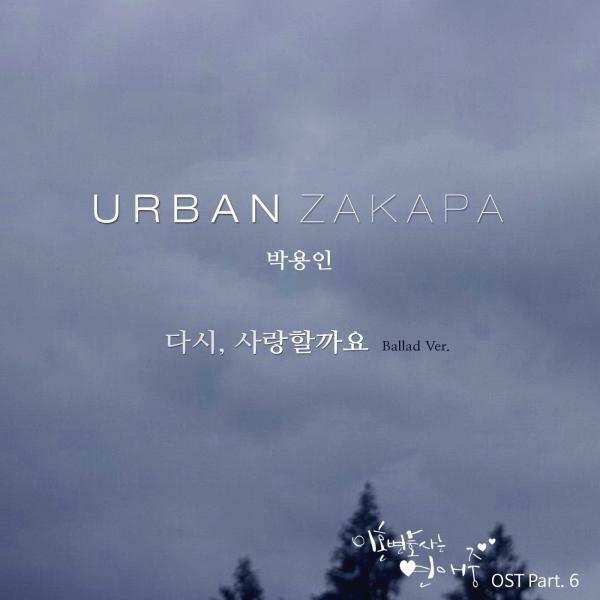 A compilation OST has not been released as of this writing. Drama Wiki has all the details. 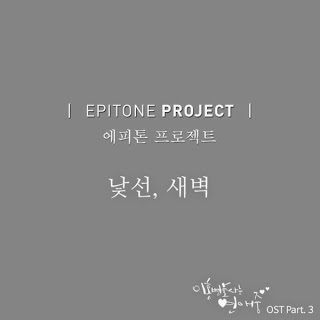 The key song “Strange Dawn” by Epitone Project captured the sweet longing and never got old. The only thing worthwhile, for me, in this show was the relationship between Soo Ah and Min Gyu. They had a great friendship and I wanted it to develop into something more. I thought they had an easy friendship too. The ending at least gave you the impression they would explore the possibility of a relationship. Thanks for commenting! I absolutely loved Cho Yeo Jeong, Yeon Woo Jin and Shim Hyung Tak in this show. True, there were times when the show felt like “meh”, but it’s what usually comes after that is what made it worthwhile. I agree with you completely! Thanks for sharing your opinion. Any drama that similar to this Drama. I really enjoyed watching this. Other dramas with cute supportive couples are Oh My Venus, Healer, Legend of the Blue Sea, and Goblin. Each is a different genre, which may be an important factor in your decision to watch.